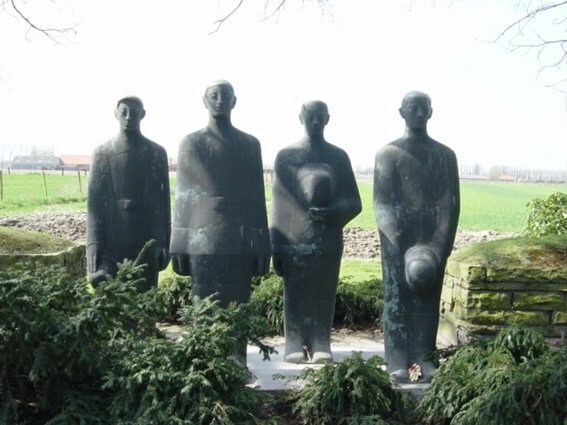 Langemarck was the scene of heavy fighting throughout October and November 1914. In April 1915 the village fell into German hands following the first gas attack, and was only recaptured by the British on 16 August 1917, by 20th (Light) Division during Third Ypres. Once again the village fell into German hands during the great German push of Spring 1918. It was finally retaken by the Belgians on 28 September 1918. 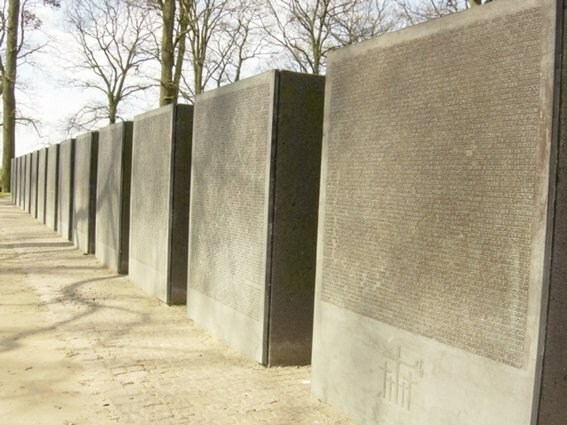 Langemarck Cemetery is the only German one in the Salient and contains 44,292 burials, concentrated from many smaller cemeteries in the Salient. 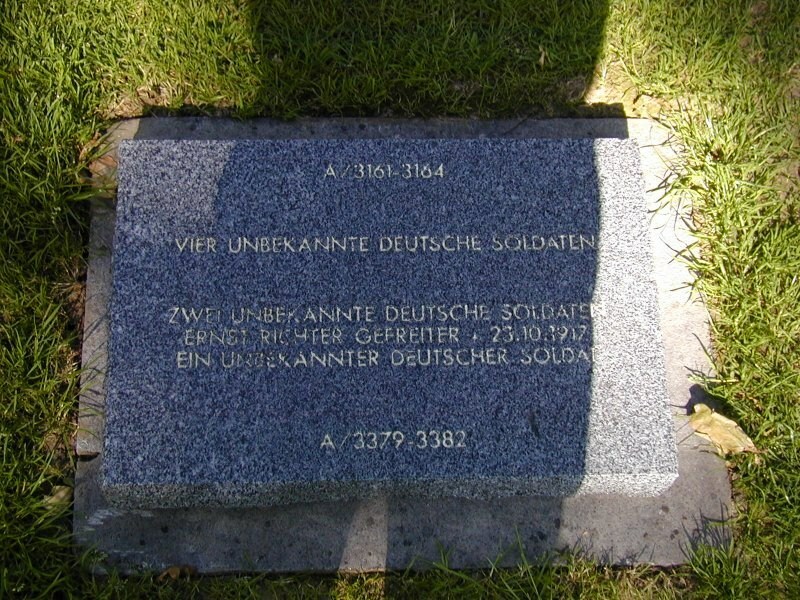 An oak panel just inside the entrance to the cemetery lists the names of the German missing. 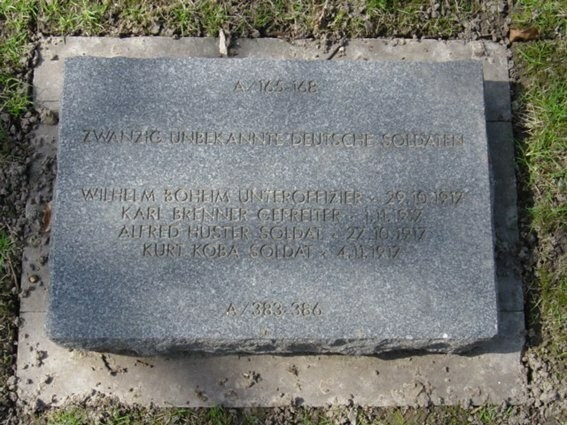 The first large headstone encountered once the visitor enters the cemetery is a mass grave containing 25,000 soldiers, and is planted with flowering shrubs. 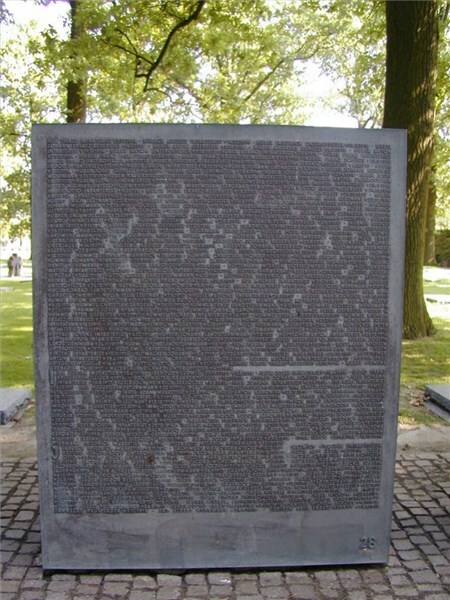 Bronze panels are carved with the names of the soldiers and their regimental insignia. 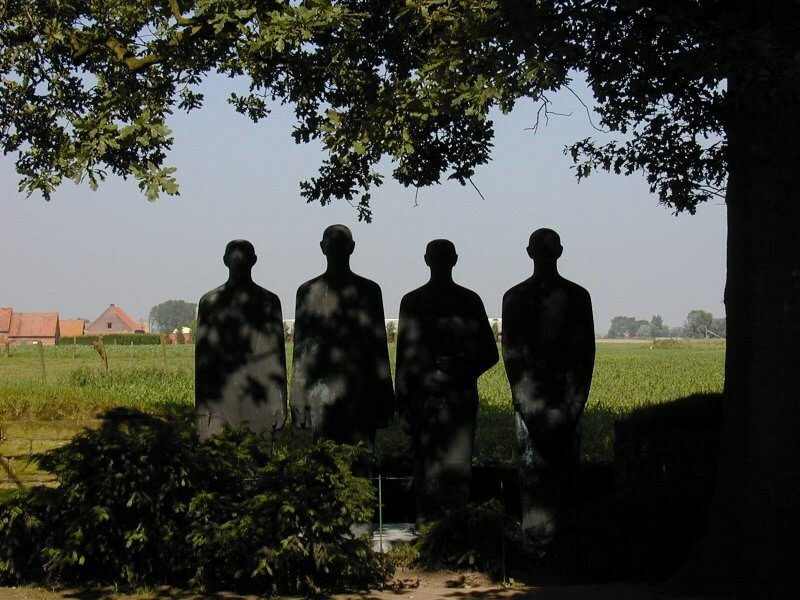 At the rear of the cemetery is a sculpture of four mourning figures by Professor Emil Krieger, seen in shadow from the front of the cemetery. Dotted around the cemetery are ceremonial small crosses; they do not signify burials. 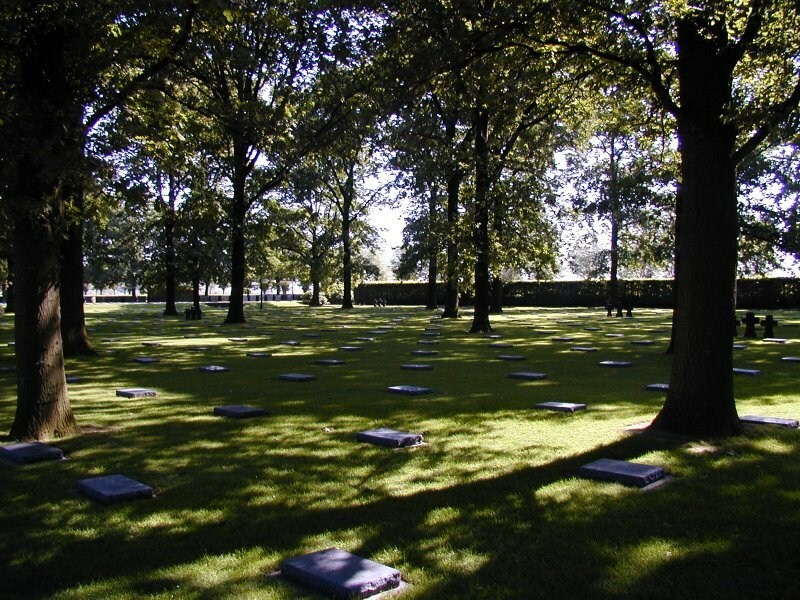 Flat stones mark burial plots: often up to eight soldiers share a (sometimes unknown) grave. 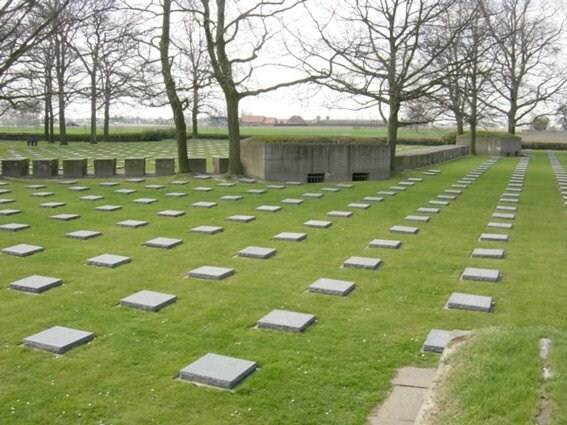 The Belgian authorities were less willing to give up land to the German enemy, making it a necessity for shared graves to be erected. 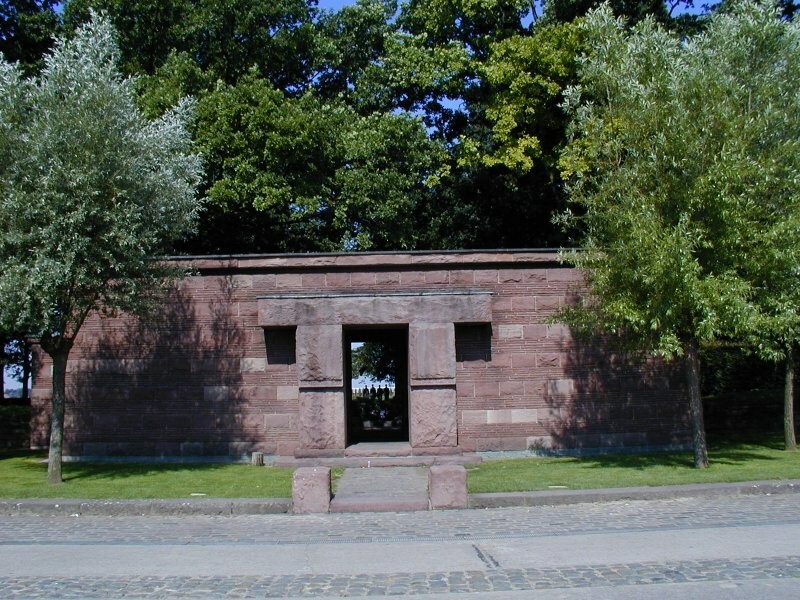 Along the north wall of the cemetery are the remains of a number of large German blockhouses. The phrase "quiet sector" was used during WW1 to describe an area of the front in which little action typically took place.